Off-the-shelf software solutions can be perfectly sufficient for traditional companies with standard workflow and day-to-day operations. However, complex businesses, like remanufacturing, require a detailed system that takes all of the nuances of the industry into account. Level Seven has spent years researching the intricacies of the remanufacturing business. From core management and teardown processes to the challenges surrounding the recovery, supply planning, and utilization of core in your remanufactured products and everything in between, we’ve built a software solution that allows remanufacturers to serve their customers faster and more efficiently. The Level Seven reman solution for Microsoft Dynamics NAV is certified through the Certified for Microsoft Dynamics (CfMD) program. Sponsored by Microsoft, CfMD certification ensures that any custom software has been evaluated and tested by an independent third party, and that the software meets or exceeds all evaluation criteria provided by Microsoft. From core management and teardown processes to the challenges surrounding the recovery, supply planning, and utilization of core in your remanufactured products and everything in between, we’ve built a software solution that allows remanufacturers to serve their customers faster and more efficiently. Microsoft Dynamics NAV is a comprehensive business management functionality solution for small and midsized businesses from Microsoft and delivered by Level Seven. It supports core business needs requirements with customizable, comprehensive built-in capabilities, and can be easily customized for the perfect fit. Has a complete vision for business applications that goes beyond what a simple stand-alone ERP solution or accounting software can do. User experience surfaces the information and tasks relevant to specific job functions. Supports core business needs with customizable, comprehensive built-in capabilities. Accommodates new processes and additional lines of business and scales to meet higher demands without sacrificing performance or incurring major increases to an original technology investment. Level Seven has been a Microsoft Dynamics Certified Partner for nearly two decades. As a result, our NAV team has over 70 years of combined NAV experience implementing, customizing. and supporting NAV for small and mid-size organizations. 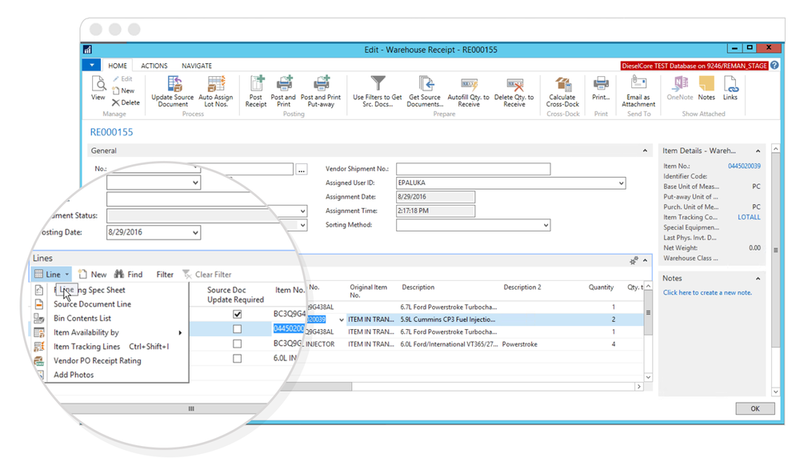 Microsoft Dynamics NAV provides comprehensive core business management functionality, including financials, reporting, supply chain management, service management, and more. Fast to deploy on premises or in the cloud, and easy to adapt, extend, and connect, Microsoft Dynamics NAV has enabled a global network of partners to create many powerful solutions that can meet the needs of small and midsize businesses across a wide range of highly specific industries and business areas. Microsoft Dynamics NAV delivers a unique combination of business intelligence, collaboration and communication tools that provide the increased control, streamlined operations and forward-looking insight you need to drive productivity, improve profitability and support your business as it grows.